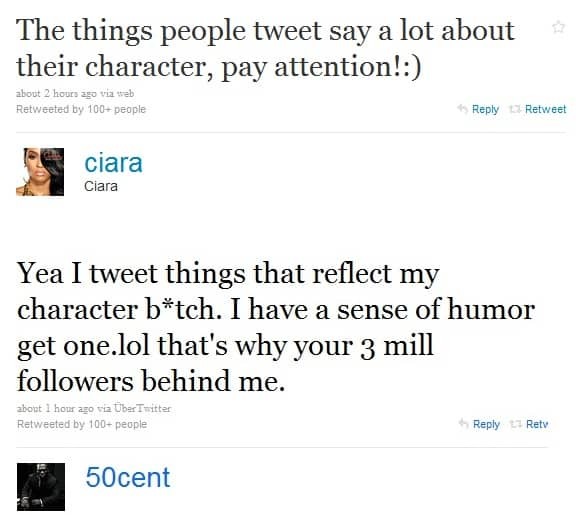 Ciara & 50 Cent Start Twitter War! Ahh, when exes fight its just entertaining like the Ciara/50 Cent Twitter fight! Ciara seems to have started the battle after 50 Cent made some “pimp” comments!! Whitney Houston’s Love Life To Blame For Death Says Sister-in-Law! Kara DioGuardi Still Doesn’t Know The Status of Her Job at Idol!